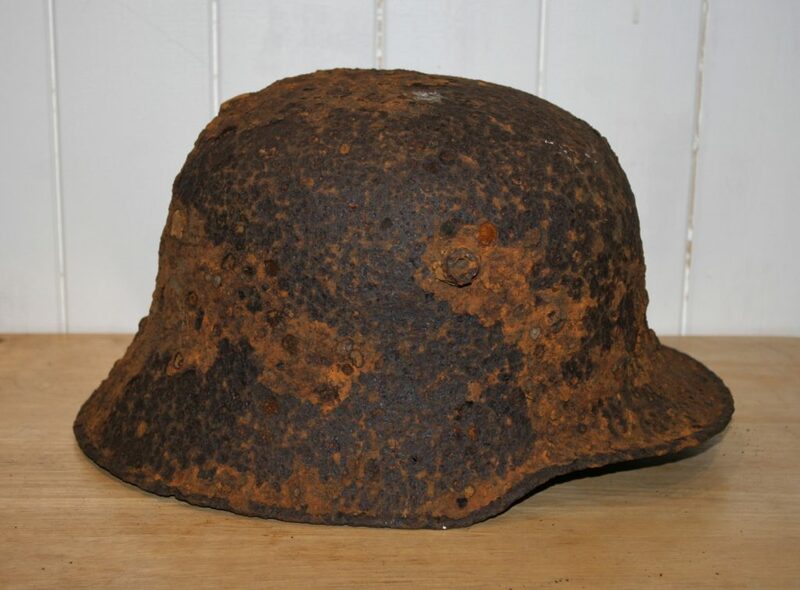 Between 1916 & 1918 the Germans produced three types of steel helmet, the M16, M18, and the M18 Cut-Out (the latter was introduced only in 1918, had a wavy rim, and most examples you see today are fakes, only 100,000 being produced for field trials). There was no M17. Actually, that isn’t strictly true. 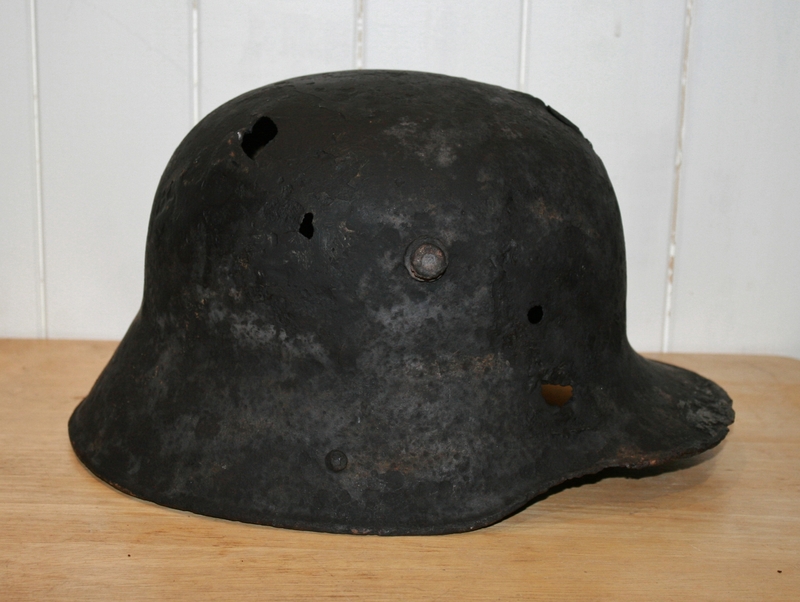 There was a M17 but it referred only to a new liner band on the inside of the M16, introduced in 1917 and made of steel as opposed to leather due to a shortage of raw materials, and with chromed leather padding attached, not to a separate helmet. …and contributed hugely to my complete inability to watch First World War films where the Tommies are all in Brodies (the British steel helmet), and they’re all retreating from Mons or being gassed at Second Ypres, pursued by the Germans in their Stahlhelme. Anyway, don’t get me started on that. 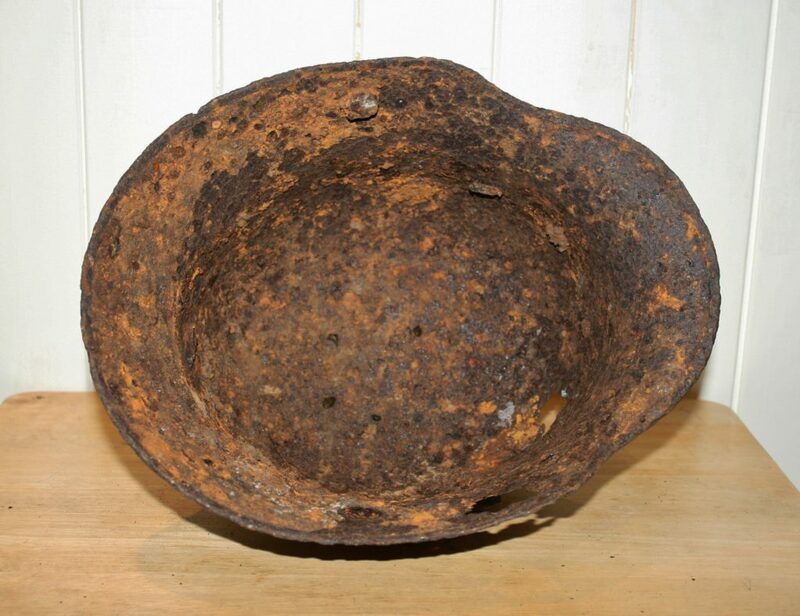 As finding a relic helmet with liner and padding still attached after all these years is unlikely, there is one other thing that differentiates the M16 from the M18, and which has to do with the chinstrap, as I’ll explain later. 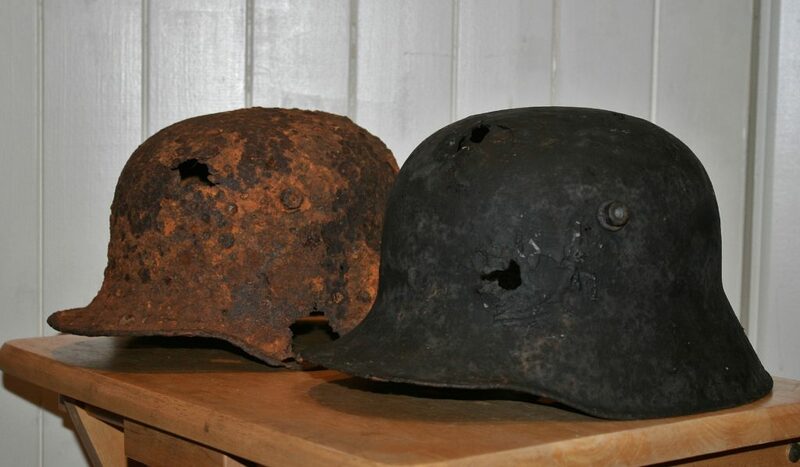 Otherwise the two helmets were basically the same, or at least as identical as more than a dozen different factories across Germany could make them; there were slight variations from factory to factory, the best known variation referred to these days as the ‘Duck-Bill’ – not much imagination required – but the Germans never made any technical distinction between these variations. The Great War was an artillery war. 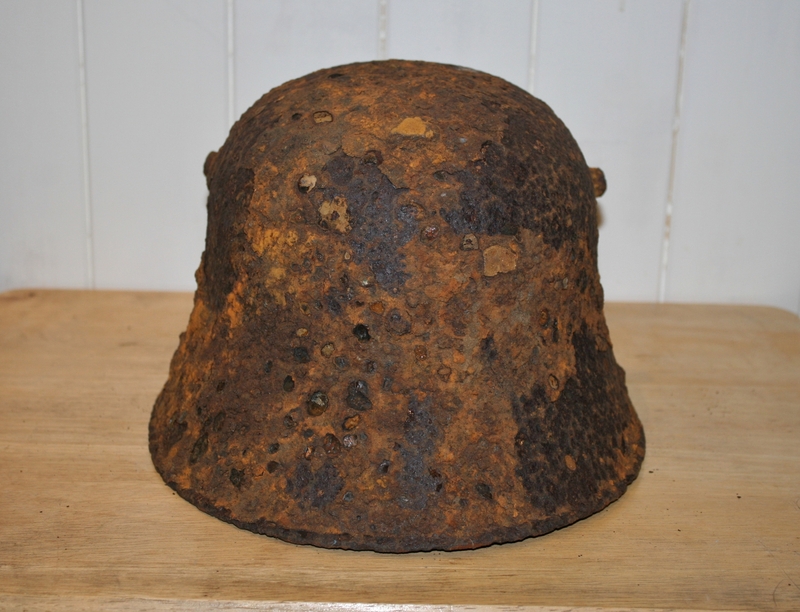 The one thing that never stopped was the sound of the guns firing from their positions behind the lines, and the huge numbers of head injuries suffered by both sides in the first year of the war, many from exploding shrapnel, led to inevitable research into head protection. 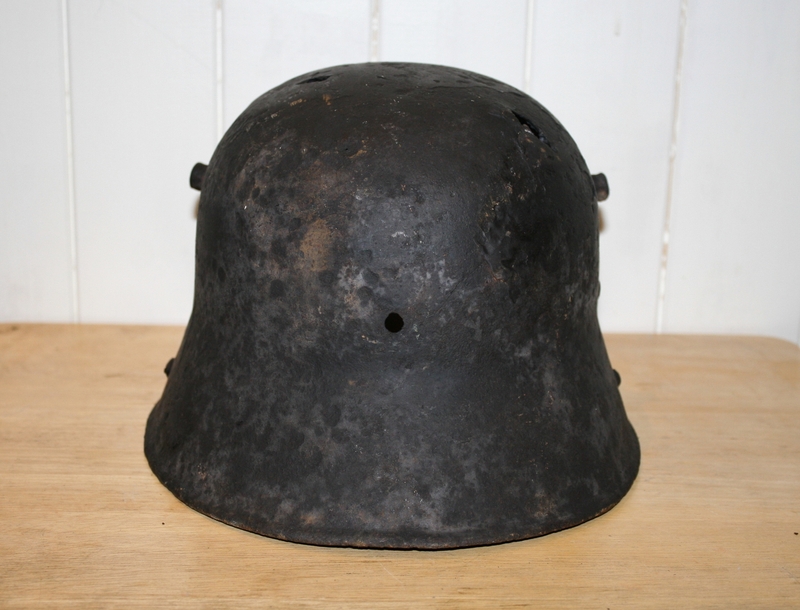 …on either side (which Second World War German helmets don’t have), and which provide one of the most common questions I get asked, “What were they for?”. And it’s a fair question too. 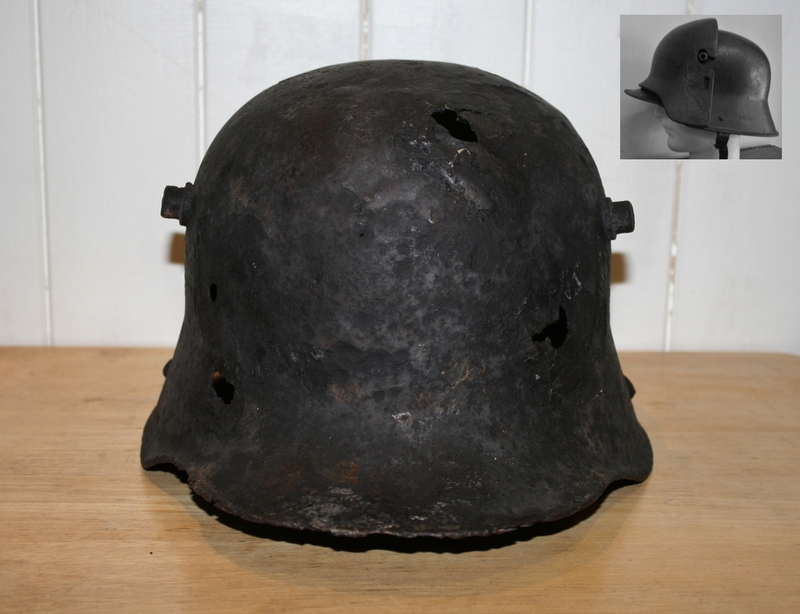 They had two purposes, one to provide ventilation, and the other to attach a steel plate that covered the front of the helmet, providing sentries with double protection, although I don’t think this use proved very practical, as there are only a few photos I have ever seen showing its use (hence the very nice inset example from an old auction photo – not mine, I hasten to add). Field trials in late 1915 proved successful, and delivery to troops on the front line began in January 1916, and yet it seems it would be April 1917 before all troops had been issued with them. 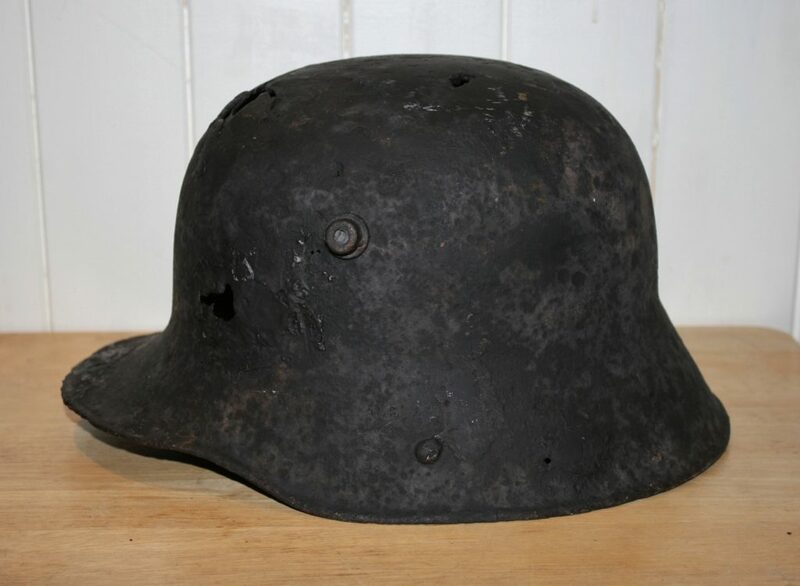 Partly, perhaps, due to the Germans’ intense quality control, but it does seem a very slow affair, a telegram to all Army Groups from Ludendorff in January 1917 in which he ordered that all German troops be issued with the steel helmet, proving that at that time some troops were still wearing either the Picklehaube or just cloth field caps! Now, back to the chinstrap. 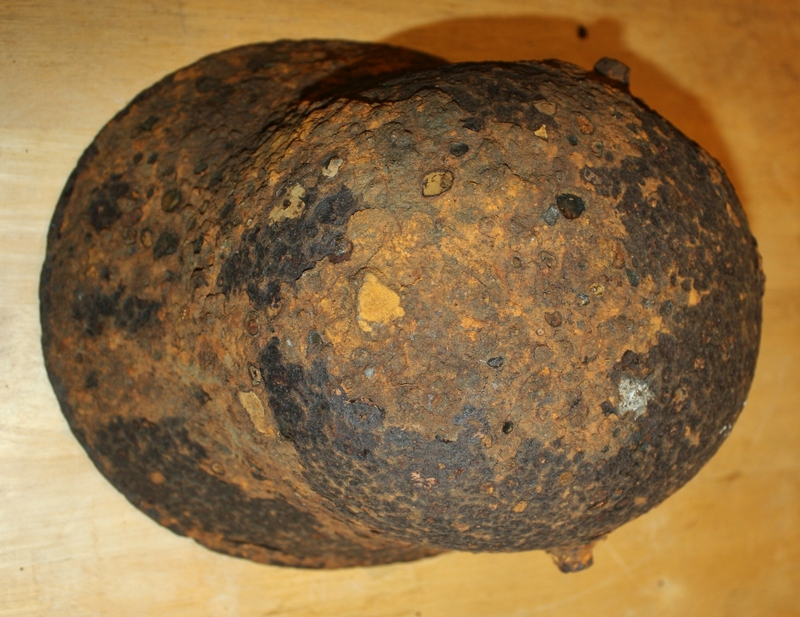 At the top of this picture, inside the skirt of the helmet, the riveted M1891 mount with its little spike to which the chinstrap was once attached is clearly visible; I’ll show you the one opposite in detail in a minute. 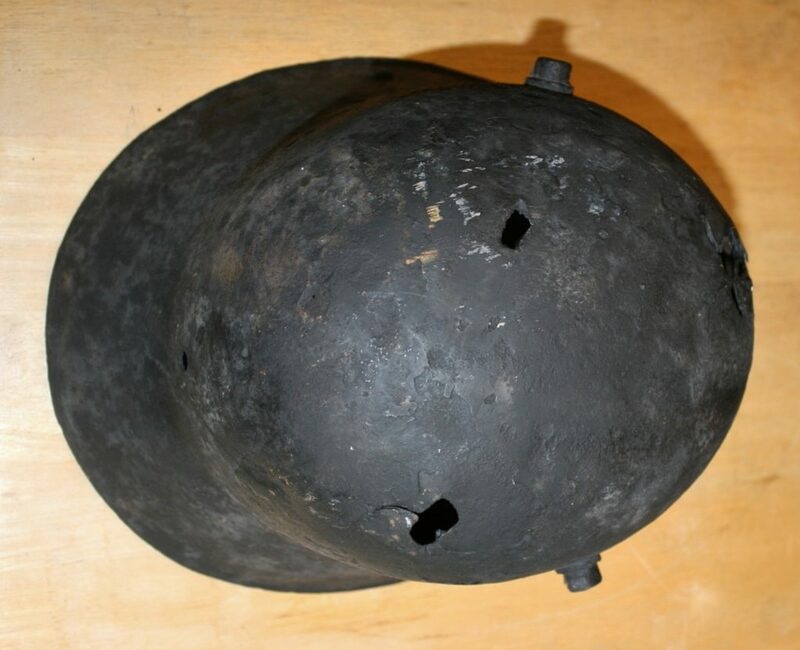 The M16 helmet used exactly the same chinstrap as the Picklehaube, mainly because, I gather, the helmet’s designers had completely overlooked adding a chinstrap at all during the design phase! 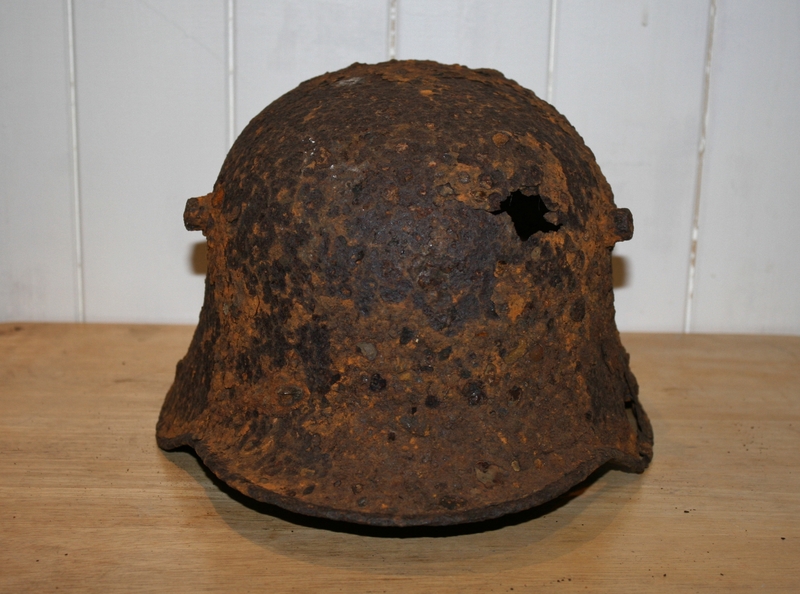 The suggested solution was to rivet M1891 mounts onto the inside skirts of the helmets, and attach Picklehaube chinstraps, of which they had a surplus. And that is exactly what they did. 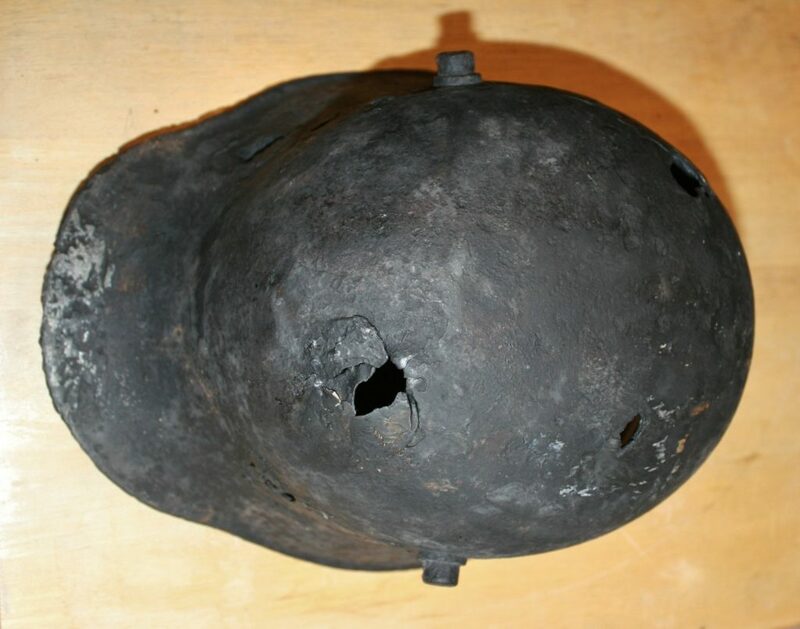 This system proved problematical in the field, however, partly because the strap would slip down across the windpipe, so changes were made when the M18 helmet was introduced to solve the problem. 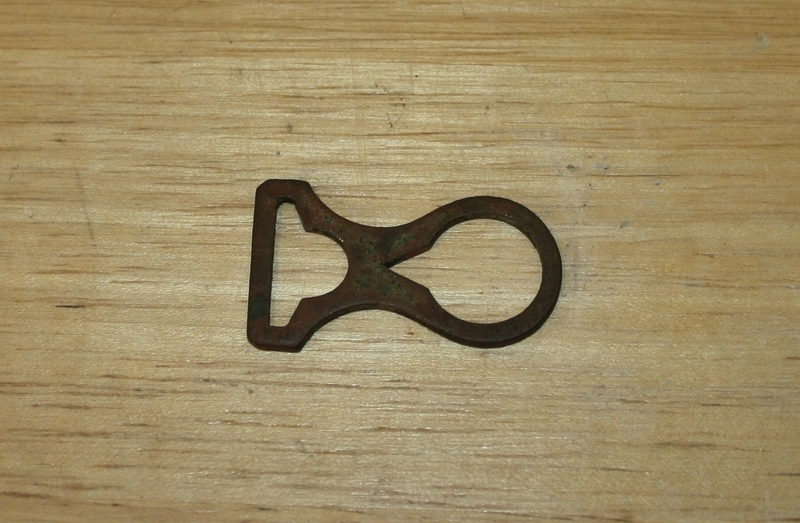 …and you will notice that it is very similar indeed to this close-up of the attachment which still remains on the mount on the inside of the skirt on the other side of the helmet. And it is these M1891 mounts that give the game away, as the M18’s newly designed steel liner included the chinstrap attachment, so there was no need for M1891 mounts any more, and the M18 model helmet doesn’t have them. 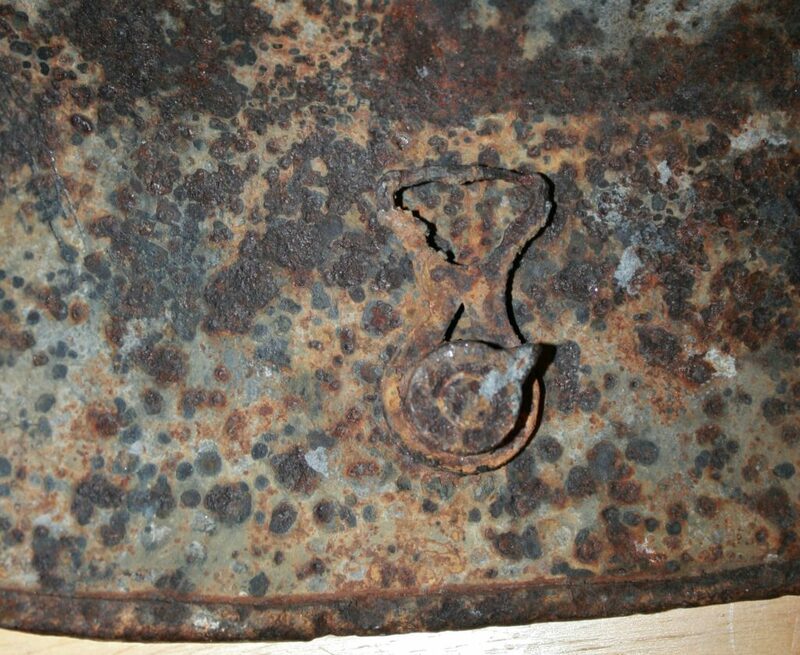 And if you check the earlier photo of the inside of the rusted helmet, you will also see one of the M1891 mounts still survives riveted to the skirt, and thus we know that both these helmets are M16 models. 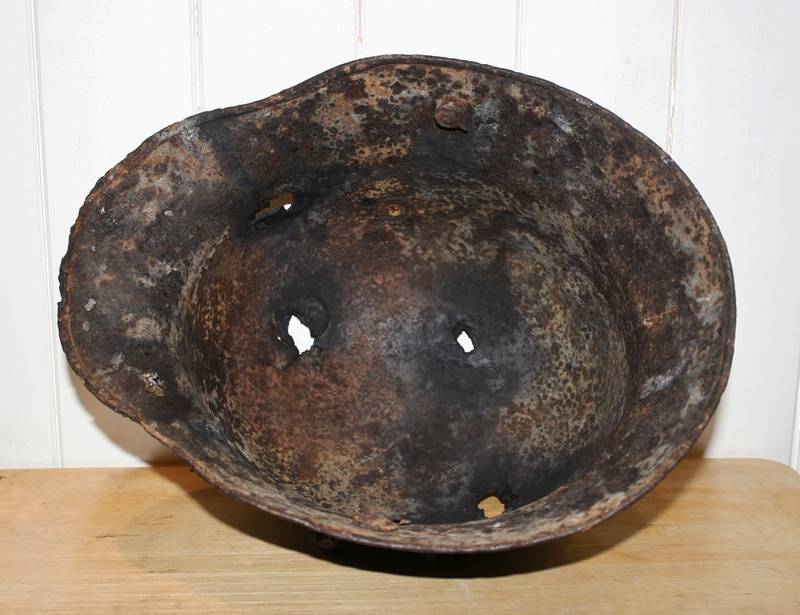 Shrapnel? You might think so, and you might be right, but I wonder if these aren’t pickaxe marks. 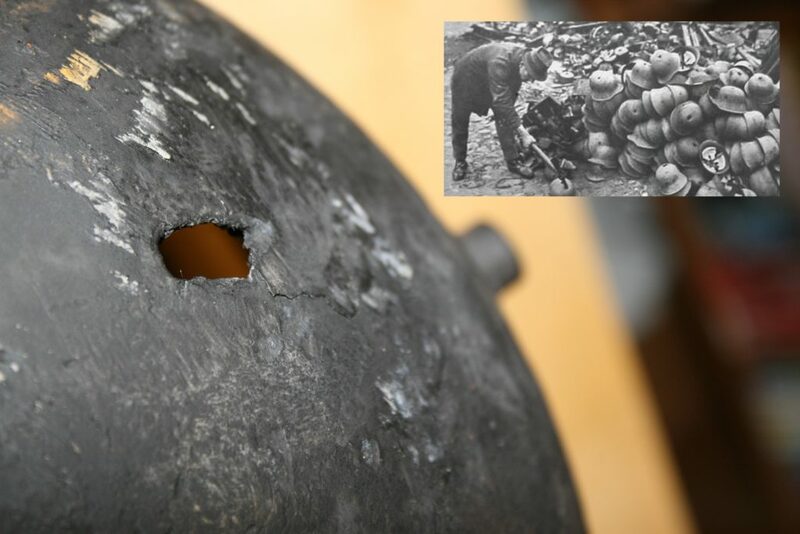 There are photos of piles of German helmets being pickaxed after the war (see inset), and if you look at the photo below, don’t you think that the bottom hole shows signs that something has been inserted and then pulled out – like a pickaxe? Anyway, there you are. You’re all experts now. 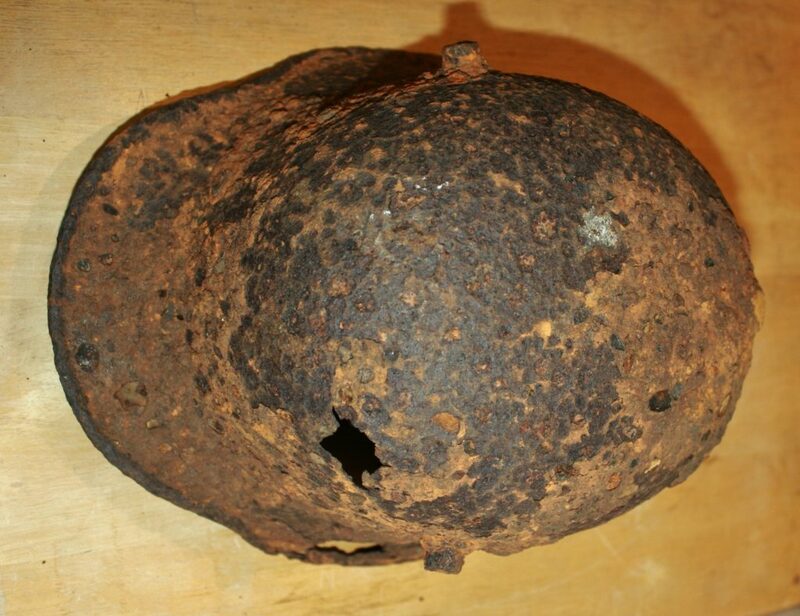 This entry was posted in German Helmets, Weaponry & Relics. Bookmark the permalink. Thank you for yet another very interesting article! Cheers Chris. And thanks for your Xmas message by the way. I agree with your above point entirely. The only benefit I can see with the Brodie has nothing whatsoever to do with protection, but you could hear better – the skirts of the German helmets made hearing in battlefield conditions difficult (and I guess this was the reason for the trials of the German Cut-Out model I mention at the start). But that’s all rather beside the point. 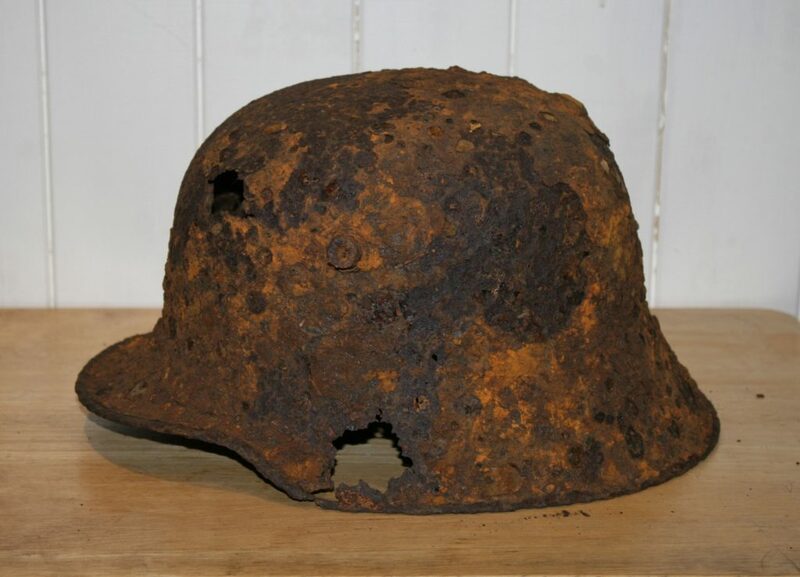 The whole point of a helmet is for protection, and it amazes me that the Brodie saw out two World Wars! A couple of hundred Euros plus, I would think!